On this page, you will find all there is to know about the Software updates for Flipnote Studio 3D (originally released on July 24th 2013 in Japan, February 10th 2015 in North America, and March 31st 2016 in Europe). 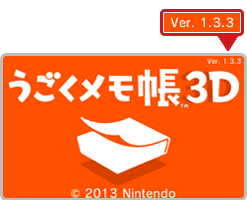 How to download updates for Flipnote Studio 3D? 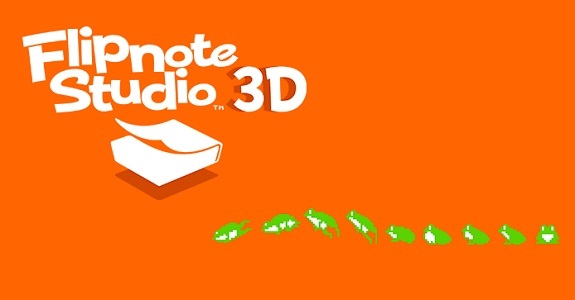 To check out that you have the latest version of Flipnote Studio 3D, simply launch the game: you should see “Ver. 1.3.2” at the top right corner of the top screen. Additional notes: the patch notes do not mention it, but this update is most definitely tied to last week’s announcement regarding the closure of the World Gallery service (click here for more details about that). Additional notes: as of writing, this update only seems to be available in Japan. If and when this update is released in Europe and / or North America, we will make sure to update this post to let you know as soon as possible.